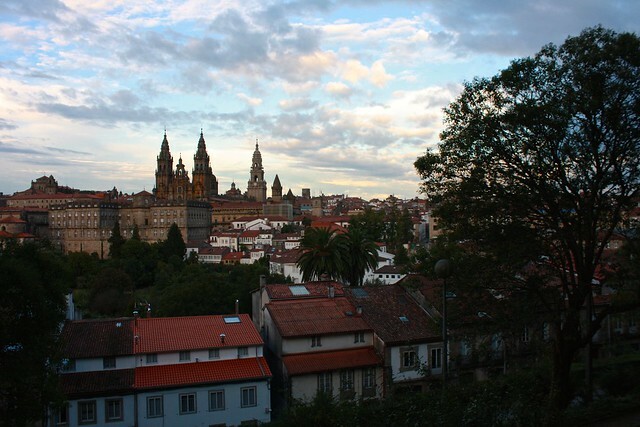 This past school year I lived and worked in Santiago de Compostela, the capital of the region of Galicia in far northwestern Spain. I love the city’s glorious, grayscale, granite architecture, its many green, tree-lined parks, and its lively old town. But what I love most of all is the FOOD! I’ve had plenty of opportunities to get to know many restaurant-bar-cafés in town (the distinctions are rather blurred here in Spain), from spur-of-the-moment octopus get-togethers to a “special” breakfast before commuting to school. Although I’ve got a separate list brewing of the best places to eat here, I thought I’d share with y’all my personal favorite haunts in Santiago, the places you’re most likely to find me at—the places where I’ve become “a regular,” from octopus-houses (if steakhouse is a word, then that can be too) to cozy cafés. Officially a pulpería or “place that sells octopus,” Os Concheiros is the only place I will go in town to eat octopus. It’s just that finding decent boiled octopus is sometimes hard to find as many restaurants, eager to attract tourists and pilgrims, will serve reheated, rubbery octopus just to say they have it on their menu. Not so in Os Concheiros—this is their specialty. 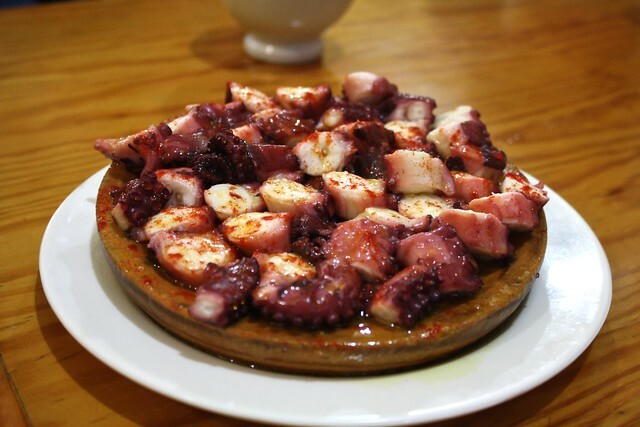 While nothing will be able to compare to the melt-in-your-mouth goodness from the city of Lugo’s octopus festival, this joint’s pulpo á feira is fresh, juicy, and tender. 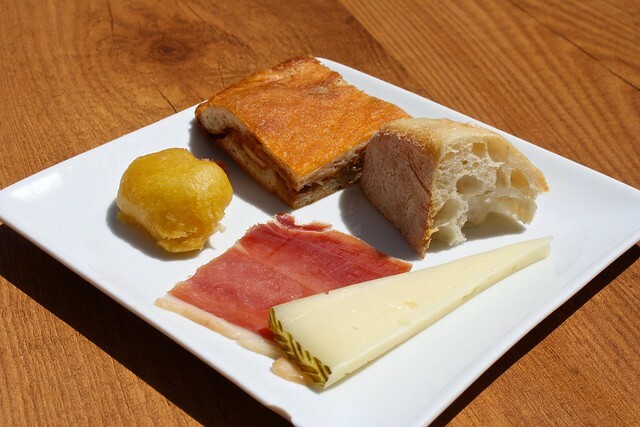 You can also order many other delicious raciones (platters) of things like fried peppers from Padrón, roasted ham with cumin sauce, french fries, and nuggets of zorza, the marinated, spicy filling that goes into chorizo. The atmosphere is very bare bones, old-man-bar style, with a row of old wine barrels separating the entryway from the dining area and several simple wooden tables from which you can watch the latest soccer game. And the eating is cheap: I never end up spending more than eight or ten euros when I have a huge family-style dinner with a group of friends. I love going to La Flor mainly for its eccentric interior décor: think of a hipster coffeehouse crossed with a Cracker Barrel and you’ll get a general idea for how this cozy place looks. Prints and knick-knacks cover all square inches of wallspace and an old dryer drum hangs from the ceiling as a repurposed lampshade. The dim lighting and trendy music make this a nice place to curl up with a good book on a rainy afternoon—but by dinner time this place is packed to the gills. You might call their menu “Galician fusion”: you’re just as likely to see people ordering a thick hunk of toasted Galician bread with melted local cheese or strips of octopus on it as you are waiters carrying out chicken curry burgers and Tex-Mex fajitas. Each of their teas is named after a famous literary novel or film, and their gin & tonics bear the names of contemporary female Galician authors and poet. Come for the atmosphere, stay for the food! 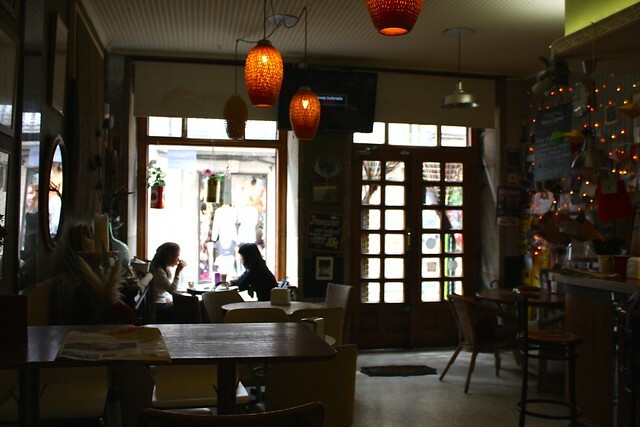 Hands down, Café Tertulia is my favorite café in Santiago, and is just a five-minute walk west from the cathedral square along the Camino to Fisterra. 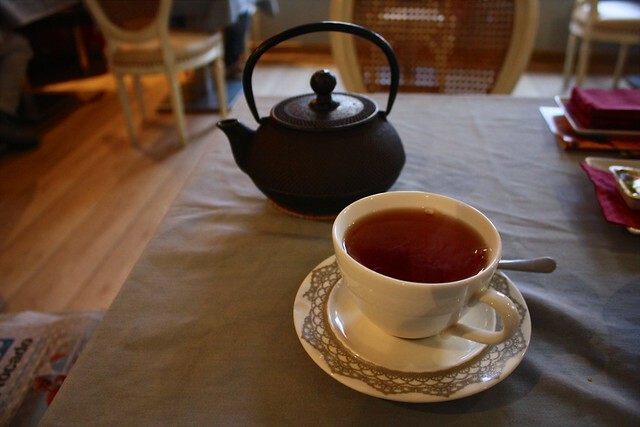 It’s about the complete opposite of your stereotypical old-man bar: warm wallpaper, cozy chairs and booth seating, trendy music, soft lighting, a wide selection of loose-leaf tea, and quality toasts. They even serve American-style breakfast with pancakes and English-style breakfast with baked beans! 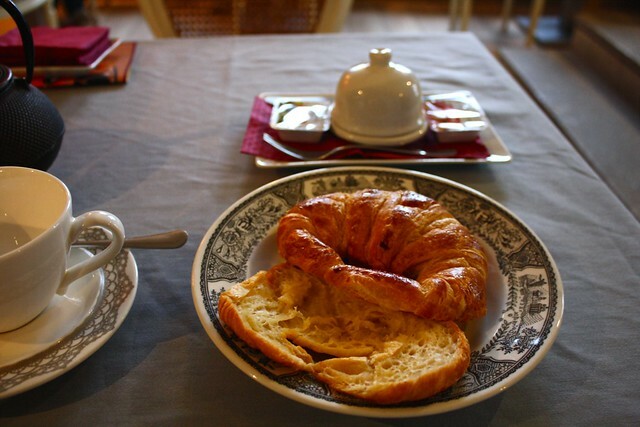 My go-to breakfast here is a teapot of Earl Grey and a toasted croissant with butter and preserves, which costs me a mere 2,70€. I also enjoy toast with freshly-grated tomato and olive oil with a creamy café con leche served in one of their fancy cups. It took me about half the school year to discover the best place in town for a good cup of coffee, but I’ve definitely made up for lost time with Café Venecia. This spartan but classy bar-café is decorated with paintings of Venice and even has some gaudy carnival masks hanging on the back wall. What keeps me coming back here, though, is the high-quality stuff they pull from shiny Italian espresso machines. 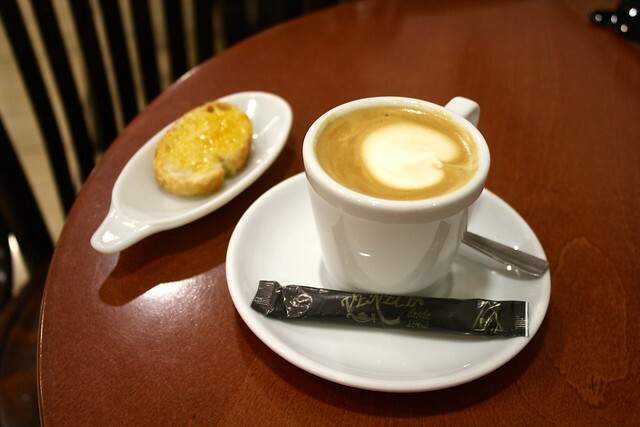 Unlike the majority of establishments in Spain, Café Venecia doesn’t use a mix of torrefacto coffee, or beans that have been coated with sugar before the roasting. This preservation technique dates back to the Civil War, but is still used today, because Spain, of course. Torrefacto beans can taste harsh and bitter, so I’m grateful to come here for a smooth, flavorful café con leche or rich shot of espresso. 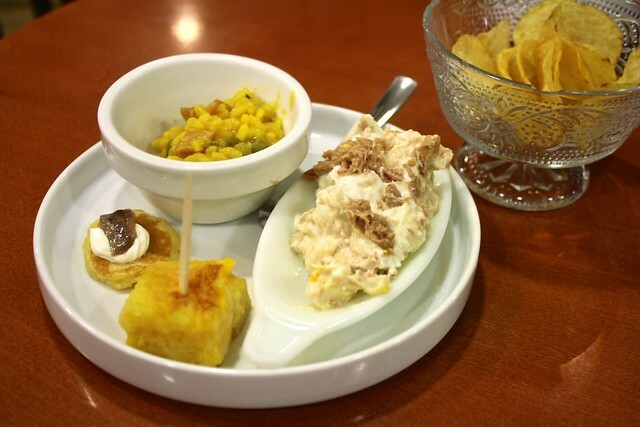 Café Venecia also serves some of the biggest (and tastiest) free tapas in Santiago. I like to order a little somethin’ to drink and wait for a plate to arrive bearing little things to nibble on like Russian salad, peas and ham, or potato omelet. Not a bad snack at all to accompany you as you read the paper, eavesdrop on grandpas playing cards, or see gamblers come in from the rain to buy lottery tickets. O Cabalo Branco (“the white horse”) was one of the first places in Santiago I checked out when I arrived in town last year. 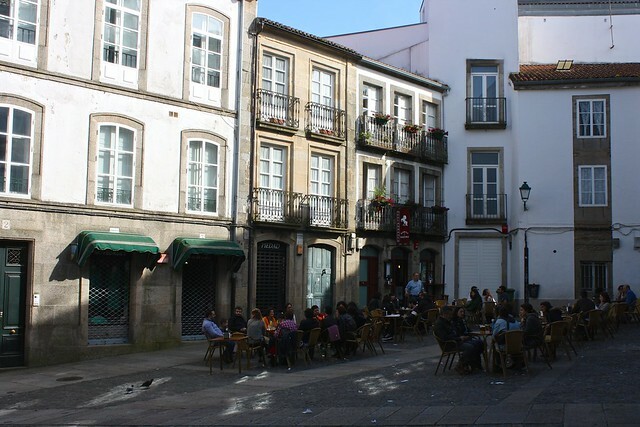 A friend of a friend and I ended up at a tiny plaza between the busy Rúa do Preguntoiro and the daily market and sat down at one of the terrace’s many tables. 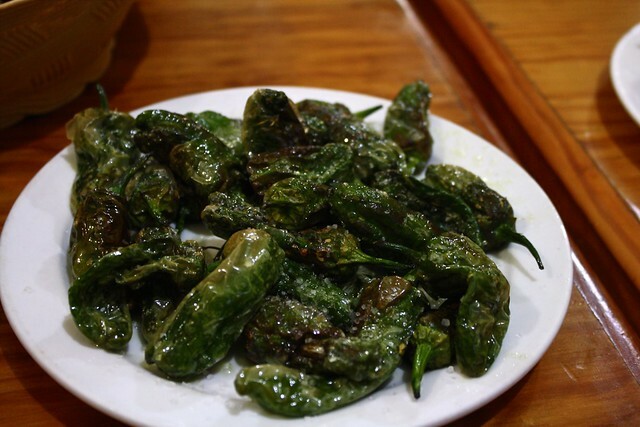 Although we would eventually order a platter of mild, salty fried green peppers, we waited until our grumpy waiter brought out our drinks to make sure we would receive this restaurant’s little-bit-of-everything free tapa. Usually they bring out a slice of Manchego cheese, some cured ham, a little bread, and almost always home fries with irresistible aioli sauce. When dinnertime rolls around and I’m not hungry enough for a bowl of reheated lentil stew, I put on my shoes, find my umbrella, and head out the door for a tapa that I know will hit the spot. If you’re thinking about eating here when it’s sunny, make sure to come early, since the terrace fills up quickly and stays full for hours! Which of these places sounds most appetizing to you? If you’ve ever been to the Galician capital before, what do you recommend pilgrims and tourists alike check out? Talk about it in the comments section below! 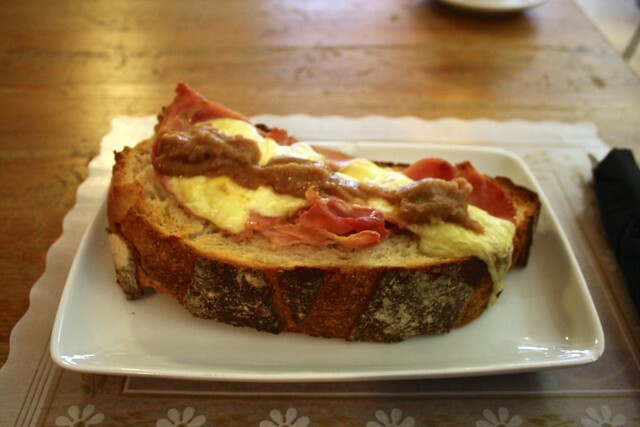 UPDATE: I have since published my comprehensive guide on Where to Eat in Santiago de Compostela, Spain, so I recommend you check that new blog post out for more recommendations!